Xiaomi has officially launched Mi Pay, the company’s latest mobile payment solution in India, after it was introduced back in December last year. Mi Pay is supported by ICICI Bank, has a basic UI and it requires Phone, Contacts and SMS permissions to run. Users have an option to transfer money to UPI address and Bank Account directly. Mi Pay is integrated within the Contacts, SMS, Scanner apps as well as App Vault in MIUI. 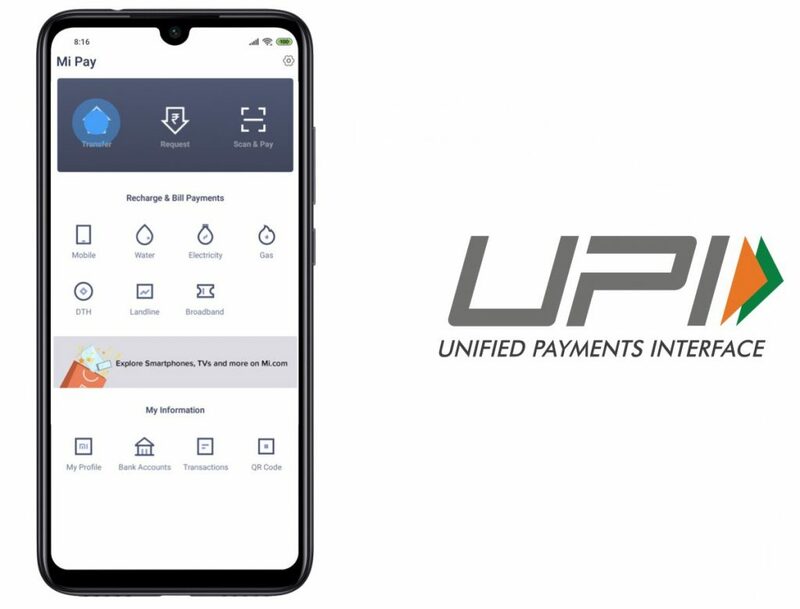 It lets you easily transfer money to others through UPI, make payments for several utilities such as phone bill/recharge, DTH recharge, water bill, electricity bill and more than 120 billers. All user-generated data will be kept in a highly encrypted format within the India-based cloud infrastructure, said that company. After beta testing the app, Xiaomi started rolling out Mi Pay to MIUI 10 Global Beta users last month. It should be available for all the MIUI users in a couple of weeks and will also be available on the Mi App Store. Xiaomi is also offering over 100 Redmi Note 7 phones and over 50 Mi LED TV 4A Pro 32-inch that can be won by making payments through Mi Pay app.